If you have heard about home facial steamers as a good way to open up pores and detoxify your skin, you may be disappointed to know that there is not real scientific research backing those claims but if you really want to buy one, you should be cautious with its use and you shouldn’t overdo using it. Keeping that in mind, let’s have a look at the best home facial steamers available on the market today. Apart from their beauty purposes, facial steamers can also be used to reduce sinus problems. 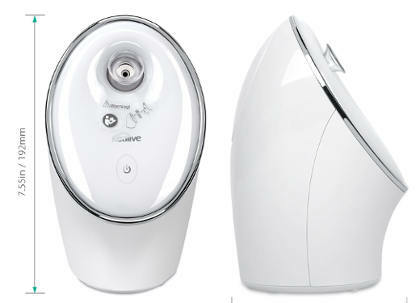 This NanoSteamer 3-in-1 Nano Ionic facial steamer offers 30 minutes worth of steam time. It combines a heating element with an ultra sonic vaporizer and comes with a 5 piece skin care kit that can be used to remove blackheads. In addition, this steamer can also be used as a humidifier to keep moisture in the air. The company offers a money back guarantee. Consumer ratings and reviews for this product are very good. Users like the fact that it has a nice sized water tank allowing for longer steaming and do state that it helps to deep clean their pores and reduce their size. Cleaning of this device is easy and simple with just using a bit of vinegar and water. According to the company, Secura Facial Steamer generates a super fine steam which is easily absorbed by the skin and deep cleanses pores. It can also be used as a humidifier and comes with a 1 year warranty. Reviews are quite good. Users report that they get between 8 and 10 minutes of steady steam and find that it removes dirt and oil from their clogged pores. In addition, they feel that their skin feels smoother and stays moisturized. Finally, they like that this steamer does not sputter water when steaming. 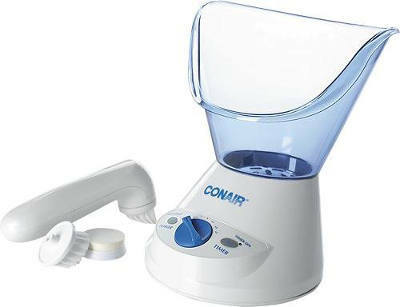 The Conair Facial Sauna System has a cone shaped area that helps to concentrate the steam mist on your face. It comes with a bonus facial tool with 2 attachments, a gentle exfoliating brush and a sponge for applying creams, lotions, or cleansers. It has an on/off switch and its purchase is followed by a limited one year warranty. 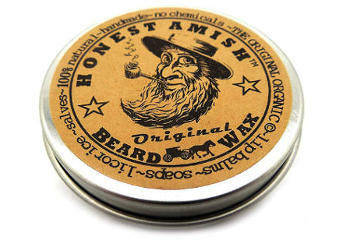 Users state that it tightens pores and cleanses all sorts of dirt and grime from their face. It helps to improve circulation and leaves their face feeling hydrated. The timer is handy and the steamer itself is extremely durable and lasts for a number of years. This Kinga home steamer has a fast start and generates steam in less than 30 seconds. 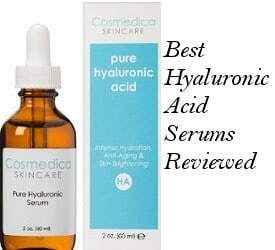 According to the company, it opens and unclog pores, making it easier for the skin to absorb skin care products like serums and creams. 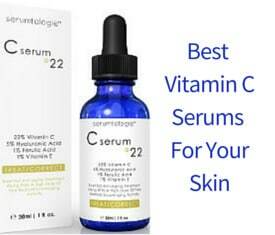 Users feel that this device leaves their skin healthier, helping to reduce acne breakouts. It produces about 10 minutes of steam, heats up quickly and leaves skin smoother while also deep cleaning pores removing oil and dirt, which results in fewer acne breakouts. 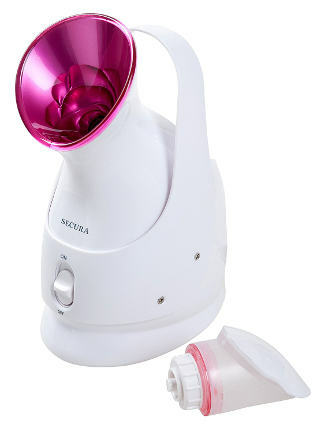 This Secura 2-in-1 facial steamer is designed to be used as both a hair and face steamer. 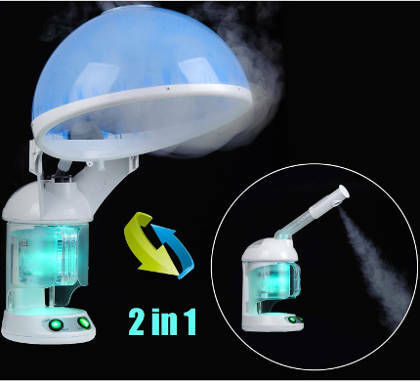 To convert the hair steamer to a facial steamer, you simply take off the hood and replace it with the tube to steam your face. Consumer ratings and reviews are quite positive. While most reviews are dedicated to hair steaming, people who use it for their face find that it works well and deeps cleanses their pores. It also smoothes skin and leaves it glowing. 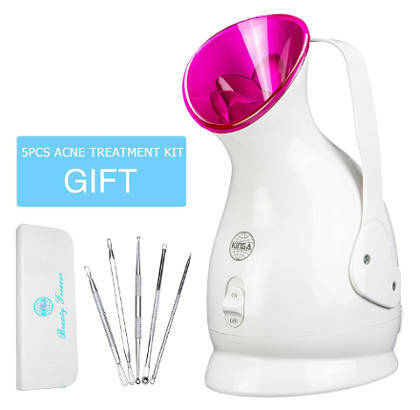 The Kealive Facial Steamer is an easy to turn on and off facial device that once started, it creates steam within 40 seconds. It has a flexible nozzle and a stylish looking touch button that turns blue when it starts spraying and red when it stops. The company states that the steaming is warm and not hot. Consumer ratings and reviews are quite good. This home steamer is lightweight and you can adjust the direction of nozzle. It shuts off automatically when it runs out of water to save destruction of the tank. Users find this product to be reasonably priced and easy to use. They also mention that the steam helps to clean pores and clear up acne. All in all, if you are looking for saving money on those spa facials, then one of these best home facial steamers may be worth using.